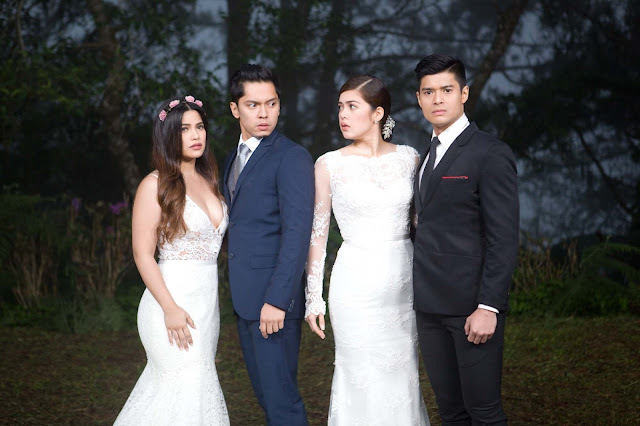 Viewers can already feel the suspense as “The Better Half” approaches its much-awaited finale, with avid fans speculating on what will Camille (Shaina Magdayao), Marco (Carlo Aquino), Rafael (JC De Vera), and Bianca’s (Denise Laurel) fates be in the remaining days of the Kapamilya series. After watching the show’s finale teaser, viewers instantly took their excitement to social media and made up scenarios on how the show would end, sharing their varied opinions with one another. “Bianca and Rafael will die. Camille is pregnant and will name her child Rafael,” said YouTube user Gian Perez. “Rafael and Camille until the end! Marco will be shot in his chest, while Raf will be shot only in his shoulders,” Tin Amparo shared in the show’s Facebook page. Viewers are up for more explosive surprises as “The Better Half” takes the suspense up a notch in its finale week. As Bianca escaped from jail, she will make sure Camille does not get her happily ever after as she puts her mortal nemesis’ loved ones in danger during her wedding day. Meanwhile, despite Bianca’s threat, Rafael and Marco will do what it takes to make her pay for all her sins and finally put her evil plans to an end. Will Camille still get the life she aspires for with Rafael? How can Marco protect Camille from danger? Will they all fall in Bianca’s trap?